Notes: The Sovereign class is Starfleet's newest and most technologically advance class of starship. When first conceived the Sovereign class was intended to carry out the same mission profile as the Ambassador and the Galaxy classes, with introduction coming late in the Galaxy class's life cycle. As new threats immerged in the mid-24th century, such as the return of the Romulan Empire and the Borg, the Sovereign class design was update to incorporate elements of a battleship, and lessening of the diplomatic and exploration roles. 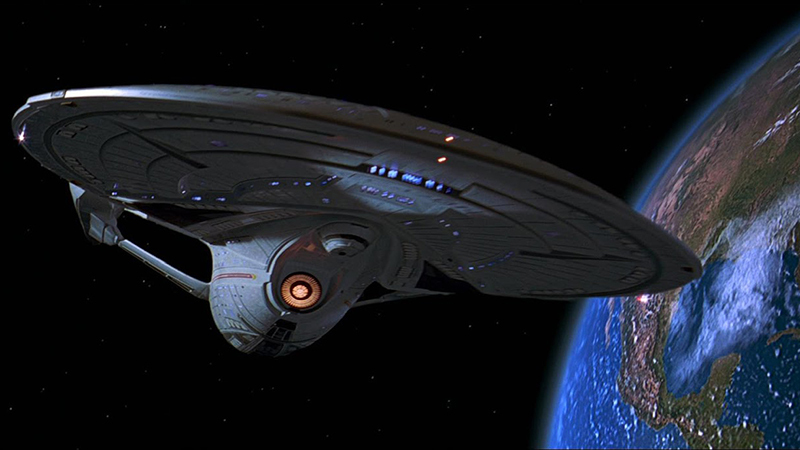 After the first Borg invasion the Sovereign class was rushed into service far earlier then planned. This allowed the class to play a pivotal role in the Dominion War and Reman incident. Fulfilling its role as an unofficial battleship the Sovereign class is equipped with quantum torpedoes and Type XII phasers. These weapons systems can out match almost every ship in the Alpha Quadrant and are intended to engage the Borg and the Dominion. The Sovereign class is also fitted with a high capacity shield system allowing it to stay in a fire fight much longer then a Galaxy class starship. In addition to the class' tactical systems, the hull has been streamed lined and fitted with warp engines and nacelles that reduce damage to subspace. 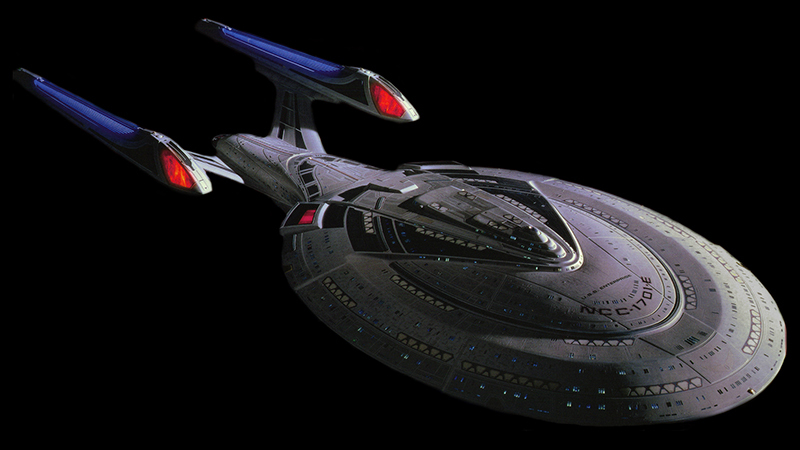 The Sovereign class can reach warp speeds of greater then 9.9, making it one of Starfleet's fastest ships.